Born on 25 March 1847 at Pulinkunnu, Aloysius was ordained priest on 4 December 1870. On 11 August 1896 he was appointed titular bishop of Tiumand and first Vicar Apostolic of the newly constituted Vicariate of Ernakulam. In the same year, on 25 October, Mar Aloysius was consecrated bishop at the Papal Seminary, Kandy, by the Most Archbishop L. Zalesky, the Delegate Apostolic. On 5 November 1896 he took charge of the newly erected Vicariate of Ernakulam. Although he had to begin from the scratches, his indefatigable labours, coupled with the hearty co-operation of the clergy and laity brought the Vicariate, within a few years, to a position of eminence. He continued to govern the Vicariate ably and successfully till his death on 9 December 1919. His mortal remains were interred in the sanctuary of the Metropolitan Church, Ernakulam and transferred to the sanctuary of the new Basilica in March 1974. 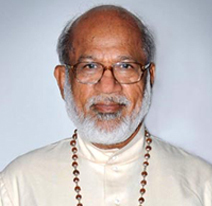 Mar Aloysius Pazheparambil was succeeded as Vicar Apostolic by the late Most Dr. Augustine Kandathil. Born on 25 August 1874 at Chempu, he was ordained priest at the Papal Seminary, Kandy on 21 December 1901. On 29 August 1911, he was appointed titular bishop of Arad and co-adjuctor of Mar Aloysius, with the right of succession and was consecrated on 3 December. On 18 December 1919 he took charge of the Vicariate. On 21 December 1923, he was nominated Archbishop of Ernakulam, when the Syro-Malabar Hierarchy was established by the Apostolic Bull "Romani Pontifices" of Pius XI. His grace received the Pallium on 16 November 1924 at the Cathedral, Ernakulam from His Excellency the late Mgr. Lepicier who had been sent to INDIA as Visitor Apostolic. Archbishop Kandathil made his "Ad limina" visit in the Jubilee Year of 1925. In 1926 the Silver jubilee of his Sacerdotal Ordination and in 1936 that of his Episcopal Consecration were celebrated with great solemnity. Archbishop Kandathil, not only followed the holy and progressive footprints of his illustrious predecessor, but also opened new avenues of apostolate in keeping with the changing times. 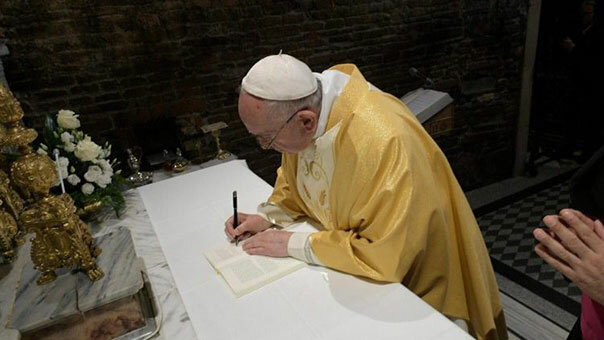 As a token of special consideration and appreciation the Holy Father conferred upon him the titles of "Assistant at the Pontifical Throne", "Domestic Prelate" and "Roman Count". In 1951 his Sacerdotal Golden Jubilee was celebrated with befitting solemnity. Mar Joseph Parecattil was born at Kidangoor on 1 April 1912. He did his ecclesiastical studies in the Papal Seminary, Kandy, where he took a licentiate in Philosophy and doctorate in Theology with distinction. He was ordained priest on 24 August 1939. He served as assistant parish priest at Narakal and N. Parur and as Parish Priest at Chunangamvely. Thereafter he served as the editor of "Sathyadeepam", until he was nominated titular bishop of Arathusa and Bishop Auxiliary to His grace, Most Mar Augustine Kandathil, on 28 October 1953. He was consecrated bishop by His Eminence Eugene Cardinal Tisserent at the Cathedral on 30 November 1953. On the demise of Mar Augustine Kandathil on 10 January 1956, bishop Parecattil was elected Administrator. He was appointed Administrator Apostolic on 27 January 1956 and nominated archbishop on 20 July 1956. His Grace took charge of the archdiocese on 9 January 1957. He was Appointed Consultor to the Sacred Oriental Congregation in 1961. During the fourth session of the Vatican Council II archbishop Parecattil was appointed member of the International Episcopal Synod. On 20 October 1966 he was elected Vice-Chairman of the Catholic Bishops' Conference of INDIA. On the occasion of the visit of H.E. Maxmilian Cardinal Fürstenberg on 27 February 1968, he was declared Member of the Sacred Oriental Congregation. H.H. Pope Paul VI made him Cardinal in 1969. He was nominated member of the Secretariat for Christian Unity in 1976; was elected Chairman of C.B.C.I. in 1972; was appointed President of the Commission for the Revision of the Code of Oriental Canon Law in 1972; was made Member of the Commission for the Revision of the Code of Latin Canon Law in 1972 and was re-elected President of C.B.C.I. at its Calcutta session 1974. He was appointed member of the Secretariat for Non-Christians in 1974. He was for many years President of the Syro-Malabar Bishop's Conference, in which capacity he was also the Chancellor of the Dharmaram Pontifical Institute for Philosophy and Theology, Bangalore and of the Oriental Institute of Philosophy and Theology, Kottayam. He was the President of the Kerala Catholic Bishops' Council for over six years in which capacity he was also Chancellor of the Pontifical Institute of Philosophy and Theology, Alwaye. He retired from office on 1 April 1984. His Eminence had the singular privilege of participating in the two conclaves which elected Pope John Paul I and John Paul II. His Eminence passed away on 20 February 1987. His mortal remains were interred in the sanctuary of the St Mary's Cathedral Basilica on 22 February 1987. Antony Cardinal Padiyara was born at Manimala on 11 February 1921. After completing his ecclesiastical studies in St Peter's Seminary, Bangalore and Salem, he was ordained priest on 19 December 1945 for the diocese of Mysore. He served as assistant at Kodivery and as Parish Priest at Kollegal and Ooty. In 1952 he was made Rector of the Minor Seminary, Mysore and in 1954 was appointed Professor at St Peter's Pontifical Seminary, Bangalore. On 3 July 1955 he was nominated bishop of the newly formed diocese of Ootacamand. On 25 September 1955, he assumed charge of the diocese. He was consecrated bishop on 16 October 1955. He was promoted archbishop and transferred to the Metropolitan See of Changanacherry, of which he took charge on 15 August 1970. He received the Pallium on 7 August 1970. In 1976 he was elected Vice President of the Catholic Bishops' Conference of INDIA and in 1983 President of the Kerala Catholic Bishops' Council. In 1984 he was elected President of the Syro-Malabar Bishops' Conference. Consequently he was also the Chancellor of the Paurasthya Vidyapitham, Kottayam, and the Dharmaram Pontifical Institute for Philosophy and Theology, Bangalore. On 8 September 1978 His Holiness Pope John Paul I appointed him Apostolic Visitator to the Syro-Malabar Catholics living outside Kerala. The Holy Father Pope John Paul II transferred Mar Padiyara to the Metropolitan See of Ernakulam on 18 May 1985. He took charge on 3 July 1985. His Holiness Pope John Paul II nominated Mar Padiyara a member of the College of Cardinals on 29 May 1988. At the Consistory on 28 June 1988 he was raised to the dignity of a Cardinal. On 20 October 1988 His Holiness appointed Cardinal Padiyara a member of the Congregation for the Oriental Churches and of the Pontifical Commission for the Revision of the Code of Oriental Canon Law. 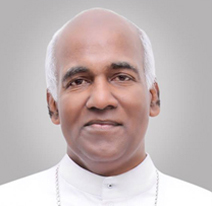 As a crown to his glory, he has been appointed the first Major Archbishop of Syro-Malabar Church on 16 December 1992. The Holy Father Pope John Paul II accepted the resignation of His Em. Card. Padiyara on 18th December 1996. He spent his retired life at Cardinal Padiyara Nature Cure Centre, Kakkanad. His Eminence passed away on 23rd March 2000 and his mortal remains were interred in the sanctuary of the St Mary’s Cathedral Basilica on 25th March 2000. Born on 29th May 1927 of Thresiamma and Justice Joseph Vithayathil ant North Parur, Archbishop Varkey Vithayathil had his school education at North Parur and Thiruvanathapuram, and his college education at University College Thiruvanathapuram, and St. Joseph College, Trichy. Joining Redemptorist Order, Varkey Vithayathil professed as its member on 2nd August 1947, and after completing his studies in Philosophy and Theology he was ordained Priest on 12 the June 1954. In 1955 he went to Rome for his studies in common law at the university of St. Thomas Aquinas (Angelicum) from where he took doctorate in 1959 on “The Origin and Progress of the Syro-Malabar Hierarchy”. After coming back from Rome, Dr. Varkey Vithayathil served as professor of Canon Law for about 25 years at the Redemptorist Major Seminary, Bangalore. In 1972 he took his Master’s Degree in Philosophy from Karnataka University. He also taught different subjects in several other Seminaries in Bangalore. He served as the Provincial Superior of the Redemptorist Order from 1978 to ’84, and as president of the CRI from 1984 to ’85. He was appointed Apostolic Administrator of the Benedictine Monastery in Bangalore (1990-96) by His Holiness Pope John Paul II. On 18th December 1996 Rev. 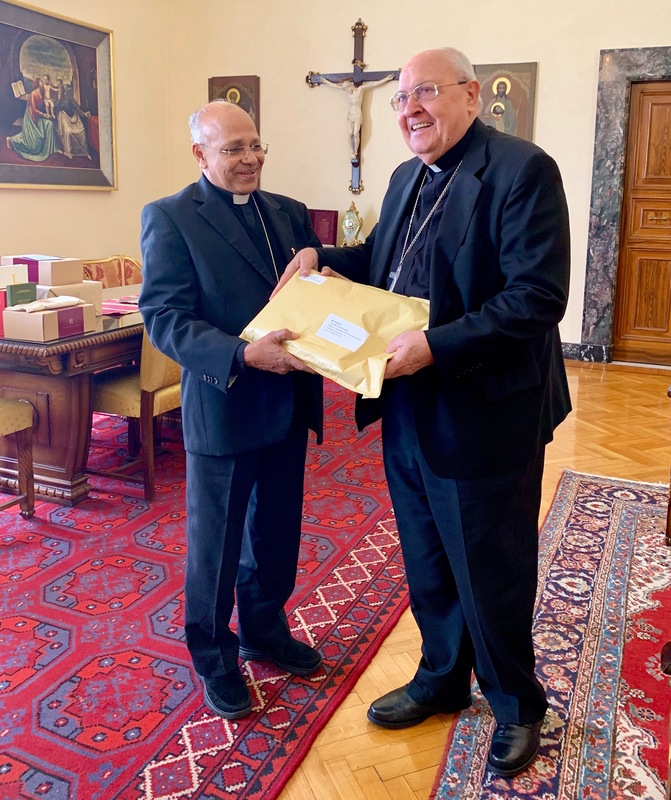 Dr. Varkey Vithayathil was nominated Titular Bishop of “Antinoe” and the Apostolic Administrator of the Syro-Malabar Major Archiepiscopal Church and of the Archdiocese of Ernakulam-Angamaly. He was consecrated bishop in Rome by His Holiness Pope John Paul II on 6th January 1997. He assumed charge of the Syro-Malabar Major Archiepiscopal Church and of the Archdiocese of Ernakulam-Angamaly on 18th January 1997. 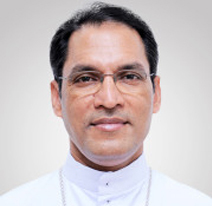 On 23rd December 1999 His Holiness Pope John Paul II appointed Mar Varkey Vithayathil as the Major Archbishop of the Syro-Malabar Church and as the Archbishop of Ernakulam-Angamaly. His enthronement as the Major Archbishop took place at St. Mary’s Basilica, Ernakulam on 26th January 2000. His Holiness Pope John Paul II nominated Mar Varkey Vithayathil a member of the College of Cardinals on 21st January 2001. In the consistory on 21st February he was raised to the dignity of a Cardinal. The sacerdotal golden jubilee of the Major Archbishop Mar Varkey Vithayathil was celebrated under the auspices of the Syro-Malabar Church on 8th November 2003. 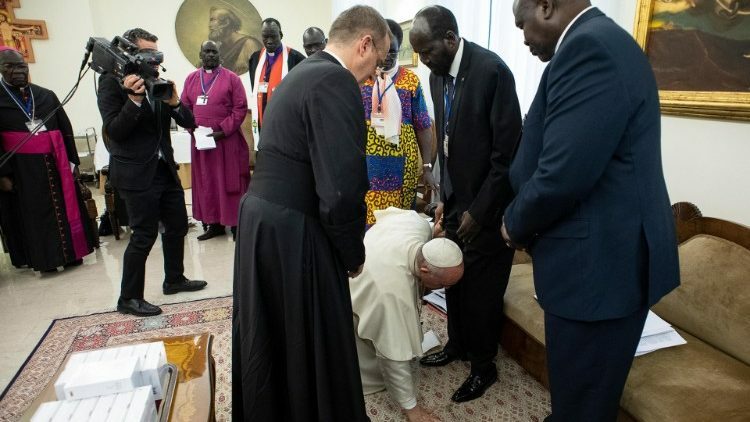 The jubilee was inaugurated on 12th June 2003 and was concluded on 12th June 2004 He is a member of the Congregation for the Oriental Churches, of the Pontifical Council for Legislative Texts and of the Pontifical Council for the promotion of unity of Christians. 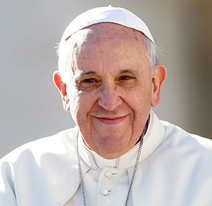 He participated in the funeral rites for Pope John Paul II and in the conclave which elected Pope Benedict XVI. Cardinal Vithayathil passed away on 1st April 2011 and his mortal remains were interred in the sanctuary of the St Mary’s Cathedral Basilica on 11th April 2011.